Labyrinths entered my life about the same time as the subject of giftedness, around 1999. I was invited to walk one, and experienced then and there that my restless mind quieted down in the labyrinth. 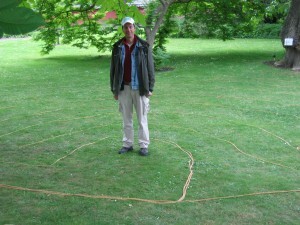 Since then I have built many labyrinths, usually temporary, preferably outdoors. They give an extra dimension to a location. They invite the visitor to enter, and they offer inspiration, reflection, relief, connection and enjoyment as needed. It is my pleasure, skill and art to create a labyrinth that fits an occasion and its location. I joined The Labyrinth Society in 2000, during the annual Gathering in Fayetteville, Arkansas, USA. Over the years I have met many fellow enthusiasts there, learned and experienced all kinds of things about labyrinths, and was offered a platform for my ideas and research on cadence and on masculine/feminine energies of the classical labyrinth, on the Labyrinth of Expression and on my new designs. As I already mentioned, walking a labyrinth has always had a positive effect on me. I feel more solidly connected to my body, standing with both feet on the ground, and experiencing a private, judgement-free space around me. That led from the beginning to a strong motivation to find out more about the “magic” of the labyrinth and, later, to investigate whether I could use labyrinths in the coaching process of my XIP clients. Initially, as a mathematician, the beauty of the pattern and its effects intrigued me. As an engineer, I was finding out how to build them with long ropes that I laid on grass, by digging the path near the tide line on the beach, or various other means. And as both engineer and mathematician, I conceived and experimented with variations of the classical labyrinth, resulting in the “You-and-Me labyrinth” and the “Four Winds labyrinth”. In the photo gallery you can see all kinds of examples of my labyrinths. 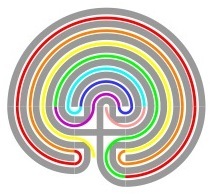 I kept my findings about labyrinths and XIPs separate, and built separate websites for them. 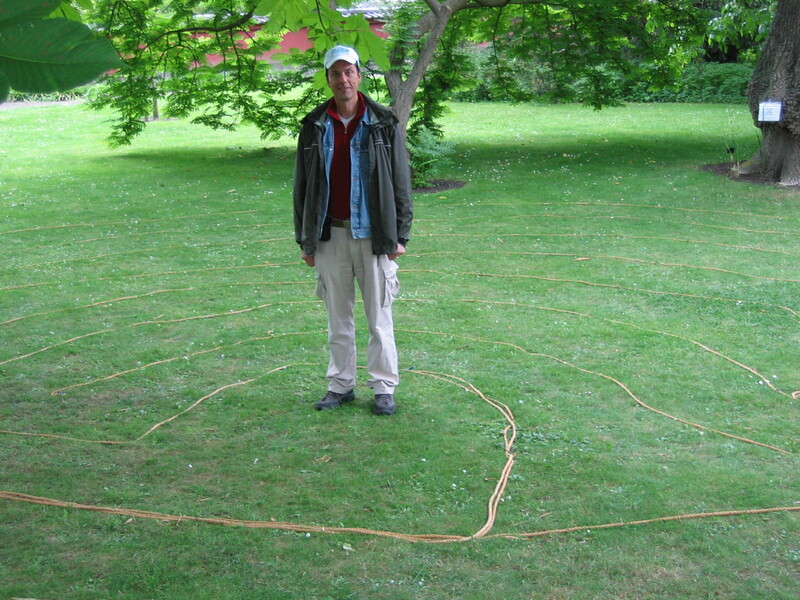 Around 2005, I discovered the masculine energy aspects of the labyrinth, and their influence on the creative process of labyrinth building. In 2007 I found the connection between the various parts of a labyrinth and the process of career coaching and wrote about it in my first Dutch book. In 2008 both Annelien and I used it in our training Mastery. While working on it, I discovered its application to the process of stagnation and used it in my 2010 book Enjoying the Gift of Being Uncommon. Since 2011 I have built “personal labyrinths” for various clients as is described in the webpage a Labyrinth for Individual Coaching. From the start of Ximension as my own company, XIPs and Labyrinths have “formally” come together, both through my logo and through this website. My old website at www.willemlabyrint.nl links now immediately to the one you are viewing. At the time it felt somewhat like a coming out, both in the XIP and the Labyrinths community. By now it is self-evident to me that using labyrinths for my XIP-clients is a natural expression of my professional skills. It is a good companion to the various more cognitive elements of the coaching process. And it offers both the clients and me an often stunning, bodily experienced, perspective on vital career or life questions.